In 2012, outgoing Nevada Secretary of State Ross Miller made headlines nationwide, but it wasn’t because of a botched election or some sort of political scandal. In his first sanctioned mixed martial arts fight at the World Championship of Fighting he won his bout in a second round knockout. Now that he’s knocked out his two terms of service as secretary of state, Miller, who when sworn-in in January 2007, became the youngest secretary of state in Nevada’s history, is on to his next adventure. Before he was secretary of state, Miller served as a deputy district attorney in Clark County. He has a law degree and MBA from Loyola Marymount University and a Bachelor’s from Stanford. As Nevada’s secretary of state, Miller created the multi-jurisdictional Elections Integrity Task Force that has been identified as a national model by the U.S. Department of Justice and the FBI. Miller served as the president of the National Association of Secretaries of State and in 2013 Governing magazine named him as one of the top state officials to watch. And in addition to that whole MMA thing, Miller is apparently also a baller. While attending the Monterrey Technical Institute in Monterrey, Mexico, he played on a basketball team that won the Collegiate Mexican National Basketball championship. Obviously you are term-limited and could not seek re-election as secretary of state, how do you feel about your time in office coming to an end? It’s never easy to leave a job that you find rewarding. My two terms as Nevada secretary of state have resulted in accomplishments that could have come only with public help and supports, so I finish those two terms knowing that together Nevadans and I have made the Silver State a better place. I take great pride in performing my duties in a bipartisan manner [although one notable example on voter ID didn’t go as far as he liked – ed.] and expanding the scope of services available. I first campaigned for secretary of state with the promises of greater transparency and accessibility, and for nearly eight years I have led my staff with those promises in mind. What would you say has been the biggest change you have seen in elections during your tenure? Without a doubt, the biggest change during my eight years as secretary of state is the advances in technology that my office has implemented across various platforms to make information and voter registration more accessible to Nevadans. My office became the sole filing officer for contribution & expense reports and financial disclosure statements in 2012, so we created a new database to make it easier to both file and view information. We implemented online voter registration in Nevada’s largest county in 2010 and expanded it statewide within two years. And Nevada became the first state in the nation to provide an electronic balloting system for its military and overseas citizens. What was the most difficult time/issue you have faced (elections wise of course) as secretary? When I first took office in 2008, I not only faced a steep learning curve as secretary of state, but Nevada had also instituted term limits the same year, making my role even more challenging. Multiple lawsuits had been filed in different counties, and it was my job to sort through it all and make clear, firm rulings. What do you feel was your greatest accomplishment and why? I am proud of so many things that this office has accomplished that it’s tough to narrow it down to one. I’m proud of expanding early voting; creating the multi-jurisidictional Election Integrity Task Force, which the U.S. Department of Justice named a best-practices model for maintaining the integrity and security of the elections process; building an election night results reporting website that is efficient and easy to use; implementing electronic balloting for Nevada’s military and overseas voters; and having the biggest increase in voter turnout in the nation from the 2008 to 2012 elections. The Pew Charitable Trusts even ranked Nevada fifth nationally for our 2012 election performance, jumping from 22nd in 2008. However, I would have to say that my greatest accomplishment is implementing online voter registration statewide. It makes it so easy, fast, and accessible for all Nevadans to register to vote or update their registration information. They no longer have to make a special trip to their county clerk’s office or mail in an application. With the increasing accessibility of the internet, they can simply use a computer or any smart device to get the job done in a mere five minutes. When online voter registration expanded statewide in 2012, more than 41,000 Nevadans registered to vote online between the primary election and general election deadlines. At the close of registration for the 2012 general election, Nevada had a record number of active registered voters at more than 1.25 million. Is there anything you still hope to accomplish as secretary before leaving office? With the little time I have left in office, I want to ensure that ongoing projects and issues are being handled in a way where I can be proud to leave a good legacy for my successor and ease her transition into this office. I will miss the ability to exact change on a wide, sweeping scale and be in charge of delivering public services so important to Nevadans. As an expert in the field of elections, where do you see the administration of elections headed? I see many states that are embracing advances in technology and incorporating changes in their elections administration. Seeing what a difference technology has made in Nevada’s elections leads me to believe that elections will become more accessible and inclusive to eligible voters. What’s next for you, besides being able to sleep in on election days? Any more MMA fights?! In considering what I leave behind as my two terms come to a close, I can’t overlook the fact that any legacy is a shared one. My legacy has been made possible by the voters of Nevada, and by the relationship we forged while I’ve been in office. I will always value that shared experienced. While I do not, at this point, know specifically what the future holds, I am fairly certain that there will always be a component of public service in my life. It is a commitment that runs deeply in my family. As for MMA, I said I was one and done, but since it is still a great passion of mine, I can’t make any promises that you won’t see me in a bout or two in the future. Never forget who you’re here to serve. You’ll always come under fire from detractors, but follow your instincts and make choices that will benefit all Nevadans. Thanks as always to Mindy Moretti for these interviews … and best of luck to SoS Miller on his future work in whatever rings life finds him! 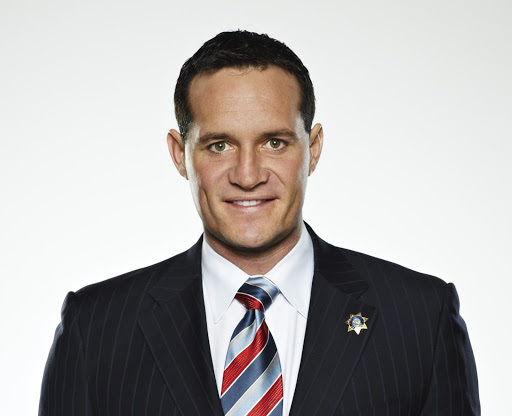 Be the first to comment on "Outgoing Nevada SoS Ross Miller Does “Exit Interview” with electionline"